If you are having financial troubles and or are unable to make your monthly mortgage payment we encourage you to COMMUNICATE! Open notices you receive from your lender. Contact your mortgage lender and do not hesitate to ask them for help. Call a certified counseling agency. Know what kind of monthly shortfall you have, create a list of your monthly spending and compare it to your monthly income. Consider reducing your spending by eliminating a monthly payment like a cell phone, cable TV or a second car. Look at all of your assets like jewelry, investments, or whole life insurance that if sold, those funds could help bring you current on your mortgage payment. As a last resort if you feel that keeping your home is not an option, contact your lender or servicer and ask a person to help you explore your options to minimize your loss. Pay Stubs of Income Verification. W-2 Forms from the Previous Year. Hardship Letter Explaining your situation. It may take a few weeks or longer to hear from the loss mitigation specialist regarding the decision on your workout plan for your mortgage loan. It is very important to check with them regularly on the status of your request so that it does not get lost in the meantime. Keep in mind that the collections department will still be contacting you to collect on your debt, so be aware that the phone calls will not stop even though you are in the process of a workout solution. Foreclosure occurs when real property is sold to satisfy an unpaid debt; this type of loan is held by a bank, Mortgage Company. A homeowner will lose their rights to the property as a result of the foreclosure. Your mortgage payment is typically (not always) due on the first of each month. If your payment is not made by the due date, it is considered delinquent. A late fee may be assessed to your mortgage account after the 15th day. The first notice is mailed to you on the 16th day of the month. You will begin getting phone calls at this time. Your loan enters default when it is 30 days late. At this time, a second notice is sent to you. When a loan goes into default, it could have a negative impact on your credit score. If your loan is 60 days pas due, the lender / servicer may begin acceleration procedures and will notify you in writing that they have started the foreclosure process. Acceleration procedures may include the lender / servicer refusing to accept any partial payments and require that the past due balance on the mortgage be paid in full, and can even mean that the lender will void any payment agreement and call the loan due in full. If you abandon your property at the time acceleration has begun your property will be red tagged, and your home will be repossessed. They have the ability to change the locks to your home and can disconnect your utilities. Keep in mind that once you have received the acceleration notice the foreclosure proceedings may begin. Foreclosure process usually happens if a loan is 90 or more days past due. Prioritize your spending based on need. Everyone must have shelter, food, and utilities. Consider eliminating or downsizing a second car payment or boat payment. Try to find bills that can be either reduced or eliminated such as cell phones, cable, dining out. Consider contacting a certified nonprofit credit counselor to assist you. 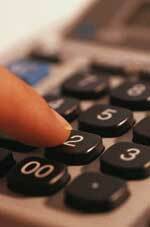 There is no charge and they can help you determine a budget. Make sure to never give an agency a large up-front fee or donation, or join an organization with a membership fee. TDHCA has a list of reputable free counseling agencies in the state of Texas that are able to help you. See link below for listing of certified credit counselors. If you think you may have a problem making your mortgage payment, contact your lender / servicer immediately. 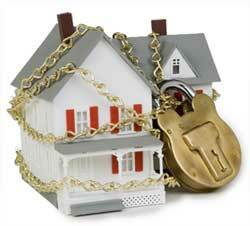 The lender/servicer does not want to own your home; they actually are very interested in keeping you in your home. Understand that if you ignore your monthly mortgage payment you will rack up massive penalties, fees, and possibly lose your home. To avoid this process, contact your lender/ servicer immediately. For consumer debt advice, visit the National Foundation for Credit Counseling at www.nfcc.org. We all experience unexpected bumps in the road, such as car repairs, medical expenses or job loss. Regardless of what is happening in your life, you must remember that your credit rating is what can make things in life possible. Your credit vouches for your good name and it will be checked when purchasing or applying for loans. Never underestimate the value of good credit. People with the best credit get a lower interest rate on loans and/or credit cards, and have much greater borrowing power. To establish a credit history you can open a low cost checking or savings account and make regular deposits. Use your credit cards wisely, by paying them off monthly. Avoid getting too many credit cards. It is good to keep credit card balances low, a rule of thumb is to keep them under 50% of your credit limit per card. Avoid applying for a new credit card because you are about to exceed the maximum limit on the old one(s). Make the minimum required payment and try to pay down the balance when you can. Develop a budget and stick to it. Reduce or eliminate payments such as cable and cell phone bills. Always make minimum payments on time. Bankruptcy and foreclosure will stay on your credit record for up to 7 to 10 years. Look for help from a reputable, free, credit counselor. Contact the credit bureau to fix errors on your credit report. To get a copy of your credit score go to www.annualcreditreport.com.